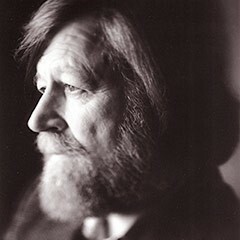 Composer, USC Thornton faculty member, and National Medal of Arts recipient Morten Lauridsen will celebrate his 75th birthday with a special concert at St. Mark’s Episcopal Church of Glendale on Sunday, March 4th. The celebration will feature the Donald Brinegar Singers in a performance of Lauriden’s beloved Lux Aeterna, O Magnum Mysterium, and The Nocturnes, with the composer accompanying from the piano. A reception with Lauridsen will follow the concert. Fans can also celebrate Lauridsen’s extraordinary legacy with our 10-part video series exploring his music, his life, and even his early days as a student at USC.